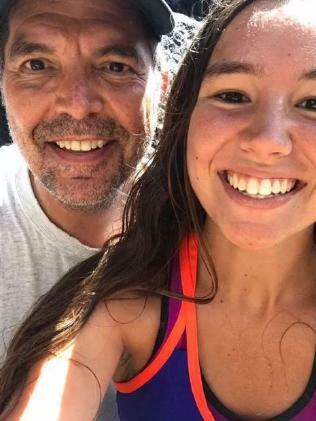 THE father of murdered University of Iowa student Mollie Tibbetts has displayed tremendous compassion and humility in his eulogy during his daughter's funeral, thanking America's Hispanic community amid widespread criticism of the US immigration system. 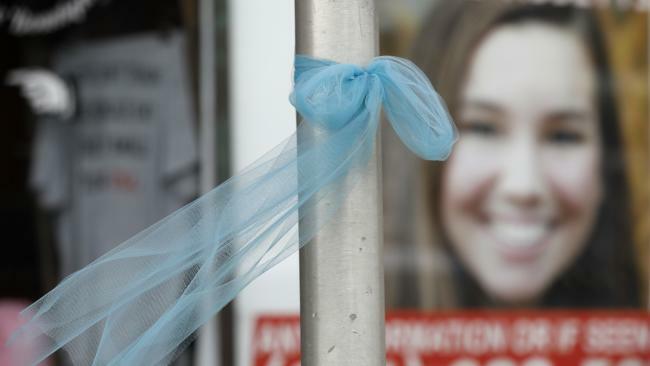 Speaking in front of a crowd of more than a thousand mourners on Sunday afternoon, US time, Rob Tibbetts pleaded with the community to remember his daughter by "celebrating something wonderful" about her, rather than the way she died. 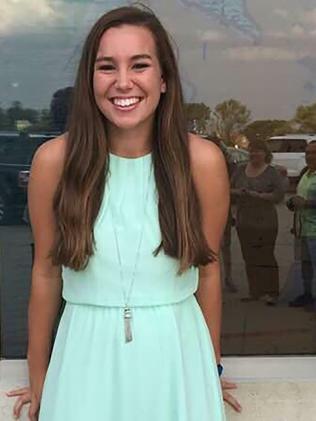 In the wake of the 20-year-old uni student's murder, Mr Tibbetts applauded the Hispanic community, who have been unfairly dragged into his daughter's murder. The young woman vanished on July 18 while on an evening run. Her alleged killer, Mexican national Cristhian Bahena Rivera, led police to her body in a cornfield on Tuesday. Mr Tibbetts didn't directly respond to comments by US President Donald Trump and others who quickly seized upon the suspect's citizenship to argue for changes in immigration laws, however, The Des Moines Register reports that the grieving father said he encountered Hispanics at Mexican restaurants and elsewhere who were sensitive and kind during the weeks he spent searching for his daughter. "The Hispanic community are Iowans. They have the same values as Iowans," Mr Tibbetts said. Authorities have said Ms Tibbetts was abducted while out running on July 18, and an autopsy showed that she died from stab wounds. "Today, we need to turn the page. We're at the end of a long ordeal," Mr Tibbetts said. 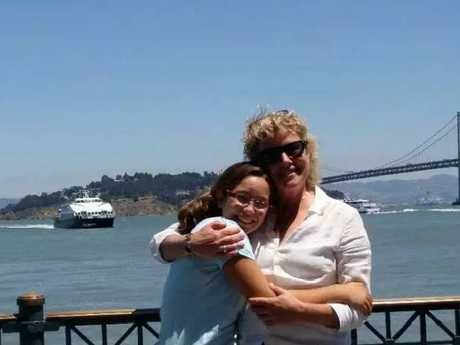 "But we need to turn toward life - Mollie's life - because Mollie's nobody's victim. Mollie's my hero." More than a thousand people packed the gymnasium at BGM High School for the funeral Mass in the central Iowa city of Brooklyn, where Ms Tibbetts grew up. "This community needs to heal," her father said. Rivera, 24, has been charged with first-degree murder in Ms Tibbetts' death. An autopsy showed that she died from stab wounds. Rivera, a Mexican national suspected of being in the United States illegally, is being held in lieu of a $6.8 million cash-only bond. He faces life in prison without the possibility of parole, if convicted. 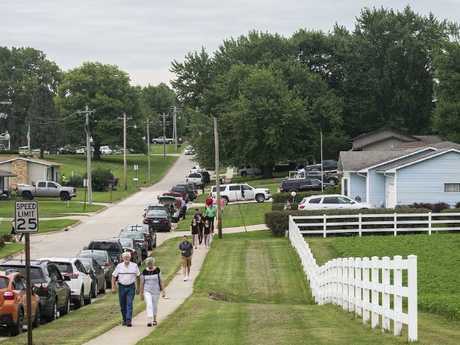 In his eulogy, Mr Tibbetts also thanked the volunteers and law enforcement officers who joined in the five-week search for his daughter, as well as the media for generating tips about her potential whereabouts. "You want to know why there's been such an outpouring?" he asked. "It's because we see ourselves in Mollie - it's because we are a part of her." Mr Tibbetts also congratulated a couple attending his daughter's service who had married the day before inside the same gymnasium. "That felt good," he said. "That's what Mollie would have done." Mollie's brother, Jake Tibbetts, described his older sister as someone who worked to unite people. "You've seen how hard Mollie is working upstairs in heaven," he said.